So when I did my VMworld 2013 Europe round up, I mentioned that it was strange to see that Cisco were not one of the supported partners for NSX and I hinted at the possibility of Cisco having something SDN up their sleeves (also from rumours heard from Cisco employees)…..
And so at the beginning of the month they announced their entry into the SDN arena….. Application Centric Infrastructure (ACI)…. I have to hold my hands up and say I’m not a networking guy (in fact it’s pretty rare in the IT market to find someone who knows server/network/storage/virtualisation….! ), so I haven’t really had a chance to read up on ACI and understand how it works and differs from VMwares’ NSX. From what I can see, ACI is pretty much reliant on you having a Cisco switch infrastructure – and specifically their new line of Nexus 9000 switches! So whilst VMware NSX is a proprietary software control layer which doesn’t care what the underlying switch hardware is, ACI locks you into Cisco hardware but gives you the choice of what software control layer you use via APIs (integration into OpenStack, Hyper-V, VMware, etc). Clever tactic, as it means that whilst you maybe locked into Cisco switches, it means you can deploy any sort of hypervisor! This obviously becomes very interesting when you start looking at the converged stacks like VCE, VSPEX and FlexPod…… if SDN is going to be implemented, it’s more than likely that Cisco’s ACI will win here just because of how open it looks! On a side note, it turns out that ACI could be a by-product of Cisco’s stealth start-up company – Insieme Networks – funded solely by Cisco and un-surprisingly run by the same guys that brought Cisco their UCS server portfolio (Nuova) and their MDS SAN switches (Andiamo)…. There’s a very interesting article on Bloomberg about Mazzola and his motley crew of engineers! This has pretty much been their response for the past few years – even though the market has always been awash with rumours that they were on the prowl for a storage company (*cough* NetApp *cough*). 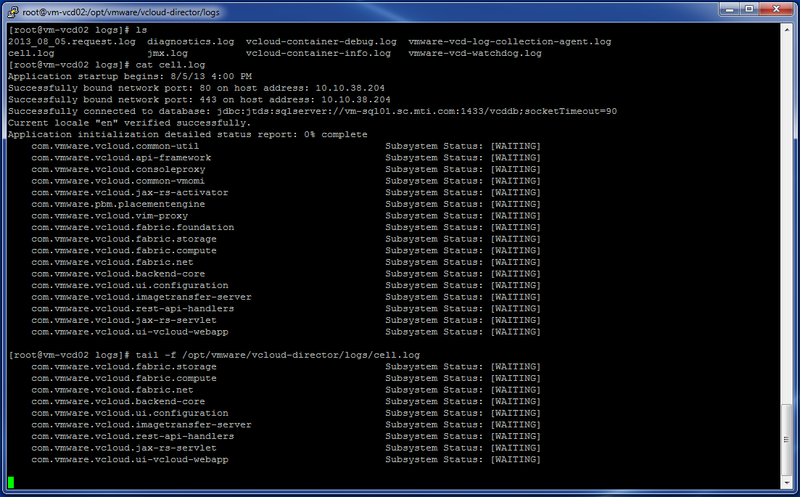 VMware – UCS Director (Cloupia)…… HP – UCS servers…… and now EMC/NetApp. So it seems all the noise coming out of Cisco is that this acquisition is so that they can build a “flash tier within their UCS platform”…. Makes sense as the market view is that since storage is getting faster (flash/SSD), bringing it closer to the compute resources will help accelerate application/OS performance by using flash as some sort of caching tier. It’s an clever acquisition by Cisco….. a flash-array start-up which already has products that could be pushed to market or integrated. Plus the arrays leverage a ‘scale-out’ approach to storage where a customer would start small and then just bolt on additional nodes when required – sound familiar?!? Isn’t that what blade servers are supposed to offer? The ability to scale out compute by just slotting in new stateless blades. So what UCS does for compute, Whiptail may offer Cisco for storage! Cisco marketing bods have stated that they’re still 100% behind their involvement with VCE, so it will be interesting to see what they end up doing with the flash-arrays that Whiptail sells….. surely they won’t just kill all off the work that has gone into these arrays! Yes, they’ll strip out some of the flash tech to build into UCS, but I still reckon that they’ll release some sort of flash-array to the market! … all they need now is a hypervisor and they will pretty much OWN a cloud stack!! Hmm… there’s probably some KVM-based hypervisor offering out there that could be gobbled up! Any suggestions? So yes, while in the short term Cisco will still buddy up to EMC/NetApp for their vBlock/VSPEX/FlexPod offerings, in the long term I guess this will all be answered by how Cisco go to market with Whiptail….. whether they will continue offering it as a standalone storage array, or whether (like their other acquisitions) they roll it all in as part of a solution bundle. And whether they push the Whiptail products as being a Direct Attached Storage to their UCS platform rather than NAS/SAN storage (which will directly challenge the likes of EMC/NetApp). Watch this space…… Interesting times ahead! Edit: Just read a really good article by Jason Nash regarding Cisco’s acquisition of Whiptail…. he’s put forward some good points about why Whiptail and how it fits into Cisco’s view of SDDC! VMworld 2013 just round the corner! So with VMworld 2013 kicking off in San Francisco on Sunday, the internet (or at least the VMware community) are awash with what could be announced…..
With it being the 10th Anniversary of VMworld, you would expect some big announcements to go alongside a big shindig……! However, from what I’ve read we might be in for a bit of a disappointment (that or VMware have been taking a leaf out of JJ Abrams’ books by keeping their cards really close to their chest!). It’s been interesting reading what’s happening within VMware’s ranks this year…..
Their new(ish) CEO – Pat Gelsinger – decided quite early on in his reign to refocus the company’s route to market – focusing on their core server virtualisation (vSphere) and their cloud business (vCloud Suite). There’s been a big push on the Software Defined Data Center (SDDC) messaging as it’s a key foundation to the direction VMware are moving…..
As such, they went through a bout of restructuring in Q1 (even though their revenue increased over last years), and cut a lot of their workforce…. Zimbra – which let’s be honest never got anywhere! Shavlik – patch management tools which didn’t quite get rolled into vCenter or other management products…. Whilst already established in server virtualisation (vSphere being market leaders and probably the best hypervisor in the market – IMO), they’re still quite new into cloud computing and still struggling to go up against the likes of Amazon. It’s great for deploying and managing the underlying cloud virtual infrastructure (albeit not great with DR of cloud resources – see my previous blog posts), but it is very lacking on the orchestration and self service portal front…… something they’re trying to address with vCloud Automation Center (the old Dynamic Ops product). But this is yet another layer upon a layer upon a layer….. It’s becoming like Microsoft!! End users love Amazon because it’s EASY to use and administer……. something you can’t really say about vCloud Director. Cisco have also waded into the cloud management market by buying out Cloupia and re-branding it UCS Director (lol)……. whilst the re-branding doesn’t go down well with all, it’s undeniable that the Cloupia product itself is quite a good tool! It’s easy to use, easy to administer, easy to setup, a single pane of glass to manage virtual AND physical infrastructure, plus a decent end-user portal! Then there’s the spin off by EMC and VMware – The Pivotal Initiative – chucking big data Greenplum, Pivotal Labs, and Cloud Foundry together (headed by the old VMware CEO – Paul Maritz)…. pretty much a cloud PaaS offering. Unfortunately I couldn’t find much info on the feature upgrade/enhancements on the latter two…. but then again, it’s all rumours at present. We’ll find out next week! Product launch of NSX which they’ve been working on since the acquisition of Nicira. Re-engineered version of SRM which will protect cloud resources. Integration of vCAC and vCD into a single product. 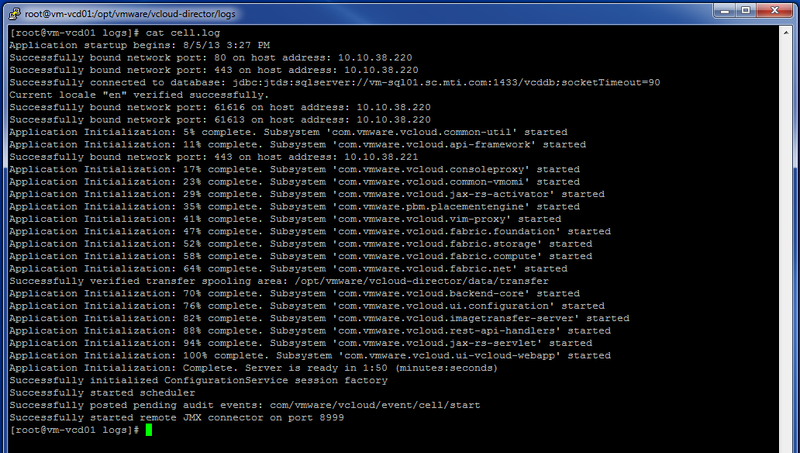 Or at least making vCAC easier to deploy with vCloud. Anyways, should be a good show next week…… and I’m still hoping to head on out to Barcelona when VMworld hits Europe in October!